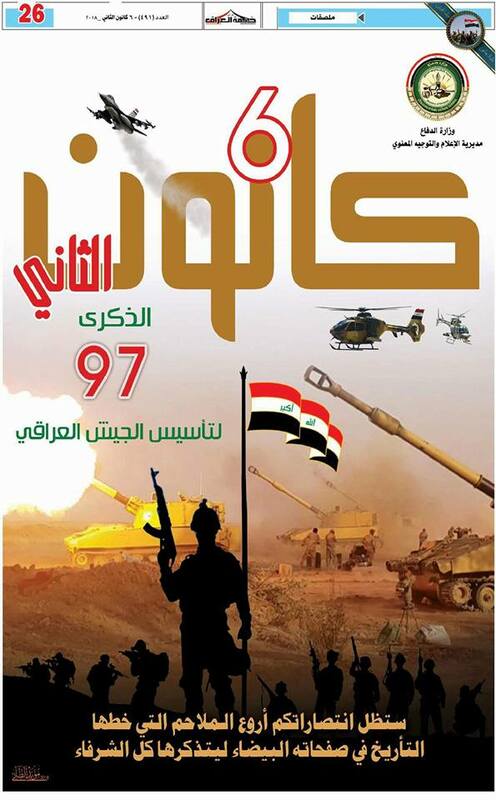 UOITC congrats the Iraqi Army the 97th anniversary of its founding. The UOI, headed by Prof. Dr. Abbas Mohsen Al-Bakry, presents the most sincere congratulations and congratulations to our brave Iraqi army in all its forms and configurations for the 97th anniversary of its founding. 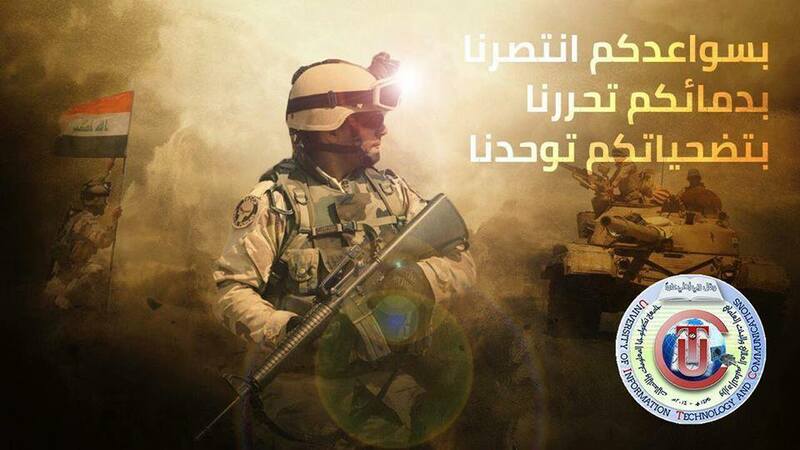 "The sixth of January of the founding of the Iraqi army is an Eid for all Iraqis. As we celebrate this cherished anniversary in our hearts at this time, during our brave army in all its formations, one of the greatest national exploits in modern history Which is to achieve the great victory over the forces of infidelity and atonement present by wild group ISIS. raised the appreciation and admiration and solidarity of the peoples of the world. Al-Bakry said, "We can not do anything except we extend our warmest congratulations to our people and our students on this occasion, which is dear to our hearts. He called upon the Almighty to preserve Iraq and its people from all evil and mercy for our martyrs who sacrificed their blood for the unity of this land and people. The university president called on students and faculty on this occasion to continue the success of the educational process in the country and improve the scientific level and achieve the desired results to raise the name of Iraq as high as raised by his heroic army in the battlefields against those who wanted to plant ignorance and underdevelopment in Iraqi society.